Subrahmanya, Nov 23, 2018: The very real fear of proliferation of fake notes in the state, it is suspected that Kukke Subrahmanya religious centre is badly tagged. 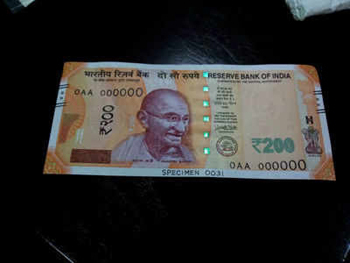 An unknown person gave Rs 200 note to a poor trader for the purchase of some small goods. The trading woman however failed to check the money, later she confirmed it was fake. Several are being cheated in Subrahmanya. “There has been complaint regarding fake notes. If the cheated persons, traders give complaint, it will be possible to investigate. If not it will have an adverse effect on the investigation. We are currently collecting information in connection to the fake note cheating now,” said Sub Inspector, Subrahmanya Police Station.